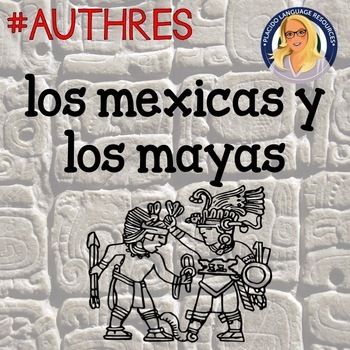 11 page resource PLUS online resources and activities designed to give students a broad overview of the societies of the Aztecs (also known as the Mexicas) and the Mayas! 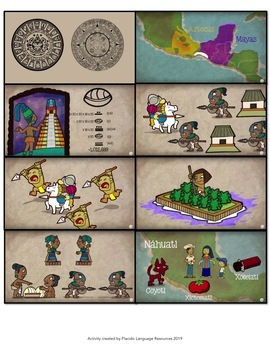 Perfect preview for the Comprehension-Based Reader Leyendas impactantes (available at FluencyMatters.com) or as a stand-alone lesson on the pre-colombian civilizations of Mexico and Central America. 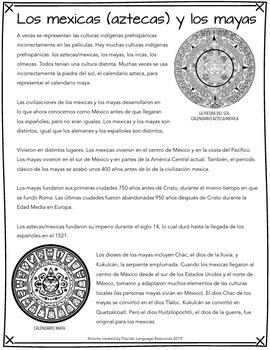 I created this activity for my Spanish 4 class. I think it would be appropriate for level 3 or higher.